Do you find it hard to stay awake at work? You’re not alone. Especially during the Festive season when you’re winding down for the year, staying up late and eating and drinking more. You may hit a wall in the afternoon or find yourself dozing off during long meetings. Feeling tired at work makes you less efficient, affects your motivation and makes you less productive. In some workplaces, it can even be dangerous. Here are our top tips to stay awake at work. Working in a space with more light can help you stay awake at work. Your circadian rhythm (your internal clock) tells your mind and body when to sleep and when to wake up. The best indicator of when to wake up is sunlight. In fact, even just one hour of daylight every day significantly affects intellectual capacity and physical performance. Exposure to bright light during the day can help you sleep better at night. Create a lighter workspace by opening blinds or position your work area near the window. And if a lighter workspace isn't possible head outside on your meal break for a natural light fix. Staying motivated at work usually comes down to how interested and energised you are about what you're doing. In our fast-paced world, most of us need constant stimulation. 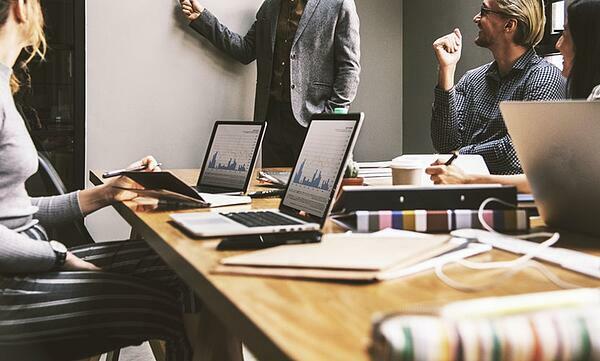 If you’re doing a monotonous task, you've been gazing at a screen for over an hour or you're trying to get through a big report, it might be time to change things up. There are various methods to do this. Plan your day to do the dreary yet fundamental things at the beginning of the day and leave the afternoon for the tasks you find more engaging. You can also take short, regular breaks. Get up and move around, have a stretch, grab a glass of water or anything else to wake your brain up. Quick breaks can re-set your mind and help you focus more. Music is a great way to stay alert if you’re working on a monotonous task that doesn’t require much focus. Upbeat, fast-paced music keeps you alert and motivated. Bear in mind, use earphones if you work in a mutual or open-plan office space. Dehydration causes fatigue. Even if you’re only slightly dehydrated your brain may get less oxygen which makes your heart work harder to draw oxygen into your organs. So it makes sense that drinking water will help you stay awake at work. Plus, it's great for you. Next time you feel tired have a glass of icy cold water. Cold water is ideal for staying alert as your body needs to work harder to convert it to room temperature. A lively stroll around the block does wonders to re-invigorate your body and mind. Walking pumps oxygen through your brain, muscles and veins, and can keep you alert for up to two hours after. Even when you’re feeling really tired and you don’t think you can manage a 10-minute walk, getting out of the office to get lunch or walking up a flight of stairs a couple of times will help you stay awake at work. If you feel constantly worn out at work now is the time to assess your health and wellbeing. It is possible that you're not getting enough sleep or your sleep isn't sufficiently deep to be restorative for your mind and body. There are various ways you can change your life to help you stay awake at work. Getting enough exercise enhances the amount of oxygen delivered to your brain and body making you increasingly alert during the day. Not only that but using your muscles releases adrenaline, an incredibly powerful and natural stimulant. Exercise also results in deeper sleep. What you eat has a major effect on how well you sleep. Fresh, healthy food gives your body sustenance and more vitality to help you get through the day. Sugary or high-fat food creates a harmful situation where your body needs to work harder to process the food. Also, the glucose highs and lows of sugary snacks simply aren't worth it. Even if they make you feel more alert. Drinking a lot of water will also have a positive effect compared to caffeine, alcohol or sugary drinks which may affect your sleep. If you’re a few months into changing your lifestyle habits and you still feel tired during the day it’s worth assessing your sleep habits. Ongoing daytime sleepiness may be a sign of an underlying health problem. 1 in 3 people has sleep-disordered breathing which can affect whether or not you are getting deep, restorative sleep. 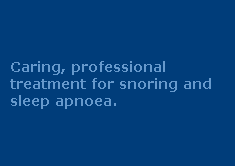 Most people who suffer from snoring and sleep apnea don’t even know they have it. They wake hundreds of times each night without even realising. If your daytime sleepiness is making you less productive or you want to feel healthier, it’s worth taking the time to assess your sleep. A sleep self-assessment is a quick and easy process that may lead you on the road to a better night’s sleep. Call us today on 1300 246 637 or submit the contact form below for a free no-obligation chat with one of our friendly Sleep Therapists. Contact us now. Corbett, R. W., Middleton, B., Arendt, J. An hour of bright white light in the early morning improves performance and advances sleep and circadian phase during the Antarctic winter. Neuroscience Letters. 2012 Sep 13; 525(2):146-51. Epub 2012 Jun 26. Chellappa, S. L., Gordijn, M. C., Cajochen, C. Can light make us bright? Effects of light on cognition and sleep. Progress in Brain Research. 2011;190:119-33.